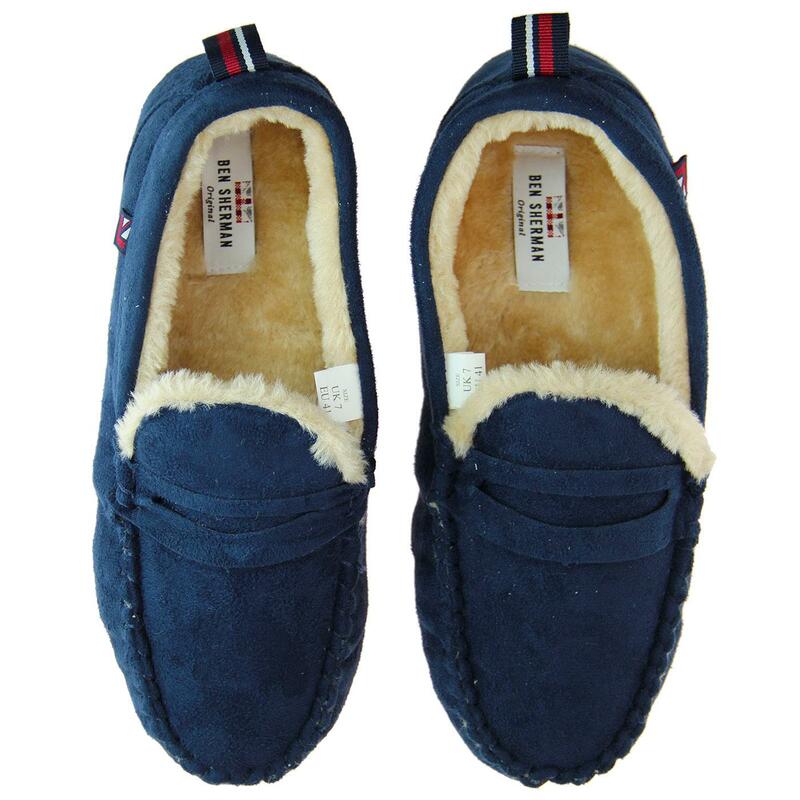 Practice your best Frankie Valli falsetto singing voice and put down your pizza - Introducing the 'Four Seasons' Ben Sherman men's retro moccasin slippers in navy. 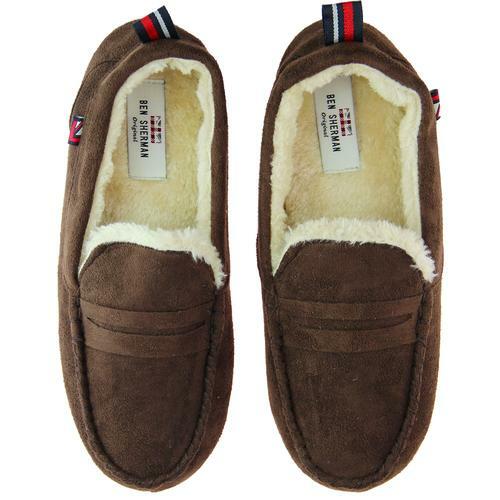 These Ben Sherman moccasin slippers are super cosy for your feet. With their soft sherpa lining and durable outsole, you're guaranteed a comfortable stepping ground. Perfect for lounging around in, these slip on moccasin slippers feature a sublime mod loafer like silhouette with cinched upper and chunky stitch details. The traditional penny loafer apron finishes the slippers off in style. Ben Sherman signature flag detail to side and retro stripe tape loop to back. 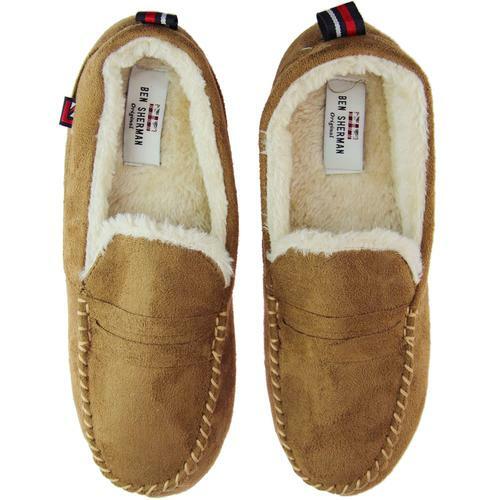 Awesome retro loungewear and a perfect gift idea for mods who like to relax - Four Seasons Moccasin Slippers from Ben Sherman. Ben Sherman Four Seasons men's mod moccasin slippers in navy.